Ni No Kuni: Wrath Of the White Witch is truly an amazing RPG experience for this generation and after having only completed it's story you are hopefully left with a feeling of meaningful satisfaction after overseeing Oliver and his friends safely through an enchanted tale which doesn't disappoint. The artsy graphics, diverse world, appealing soundtrack and overall unique magical adaptation of the parallel universe is greatly put together, making you feel as if you're in another universe altogether. While Ni No Kuni gives the rpg genre a much needed kick up the rear end, the Level-5 and Studio Ghibli masterpiece isn't as pure hearted as one would assume. 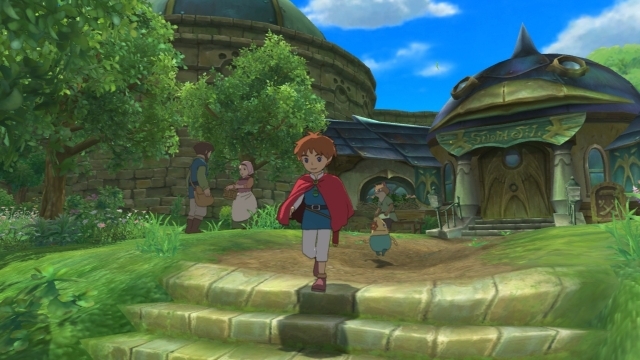 "Akihiro Hino: 'Ni No Kuni II a huge improvement to the first'"
The Wrath Of the White Witch does indeed have it's flaws and since the announcement of PlayStation 4 exclusive Ni no Kuni 2: Revenant Kingdom, we decided to update the list, here's ten appropriate changes that would greatly improve and enhance the playing experience. 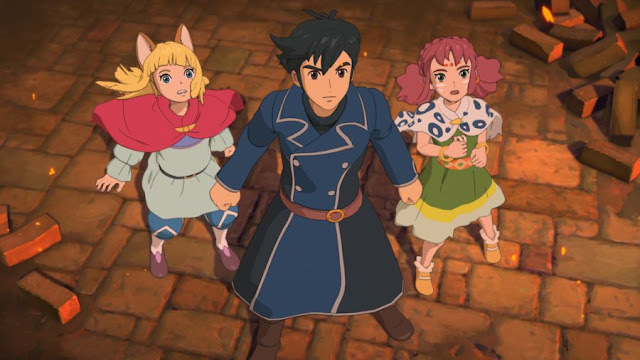 Akihiro Hino, the CEO of Level-5 and director of the Ni No Kuni II: Revenant Kingdom spoke about the new sequel during a developer video unveiled by PlayStation and claims that Ni No Kuni 2 is a huge improvement over the original game. 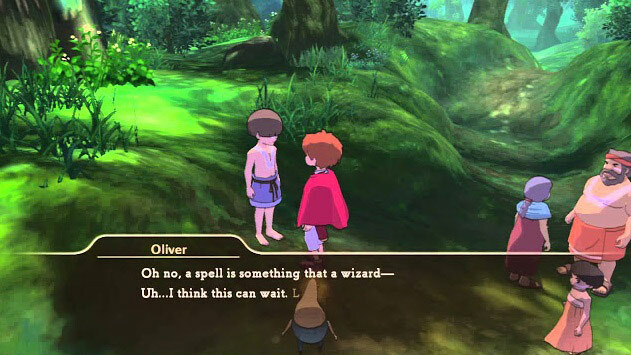 While Oliver and his companions were honourable characters who stood for honesty, good morals and compassion, they weren't exactly what you'd call exciting, (excluding Mr Drippy) the main cast of Ni No Kuni were dull as a rock. Oliver was the self righteous heroic prodigy which often led to boring and predictable encounters with whomever he spoke to. A dabble of more in-depth backstories and personalities would solve this issue. The A.I in the original game were borderline useless unless they were pampered and babysat, especially in later stages of the game. They wasted a ton of magic and were often worse then the enemies you faced. Simple tweaks to the A.I while introducing more helpful 'All out systems' could turn this annoying phase around. Introducing new 'All out' systems would greatly tackle the problem. All out Healing = Use any healing or recovery procedures, then defend. All out Support = The uses of buff. An option to turn off character spells, songs and trick shots which you don't want A.I to abuse. When you first get your hands on Esther's Serenade ability you probably wouldn't believe your quest to catch em all would be this tedious but once you're fighting your tenth Green Buncher, the harsh reality eventually sets in. Taming familiars shouldn't be a tiresome grindfest but instead players should be allowed to repeat and exploit Serenade until your desired familiar is tamed or knocked out. Tame rates should also be increased above 10%. Oliver couldn't drag his feet any faster across town even if you showered him with an endless supply of guilder. In the beginning taking in the view of towns and the lust looking environments was breathtaking, but after your fifth trip to Ding Dong Bell it eventually begins to feels tedious. "After your fifth trip to Ding Dong Bell it eventually begins to feels tedious." Instead of the useless novelty jump feature (which we still want), a sprint button would've been the superior choice. Adding a sprint button or even the flying broom a.k.a Cloud broomer would definitely be a much needed improvement to the Ni No Kuni series. 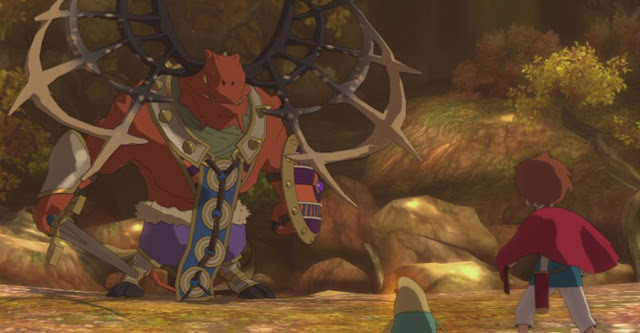 As you progressed halfway through the game, you probably noticed a number of tasks repeating themselves and that was the main gameplay mechanics of Ni No Kuni. While not too bothersome in the beginning, it soon got pretty dull searching for diaries, restoring broken hearts and taming familiars in every single town. Also having to select emoticons from the menu, which at first looked visually impressive but eventually felt like a slow feature. 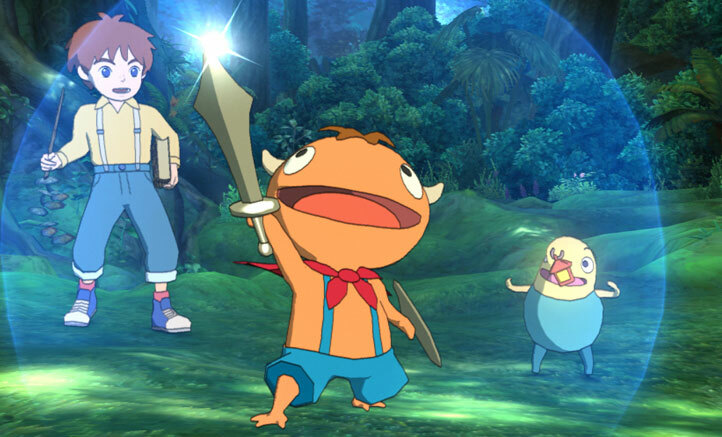 What Ni No Kuni needs is new innovative side quests that separate themselves from one another. 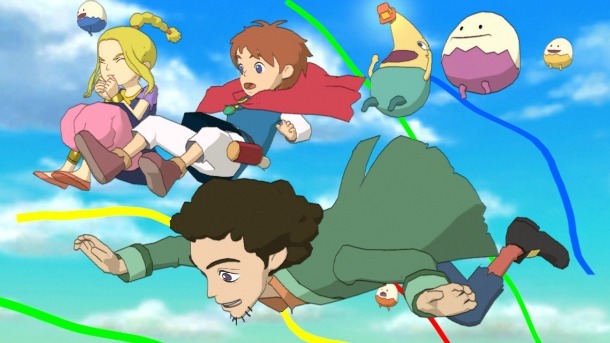 Not only was the cast of Ni No Kuni lacking personality but there wasn't enough party members to choose from. The game initially gives you three characters and throws in a fourth person near the end of the game but there's no real advantage of using him. We'd like the option to have at least six party member at minimum. The world of Ni No Kuni was magnificent, discovering new towns and conversing with the locals was quite amusing, but we'd love for there to be more cities to explore. 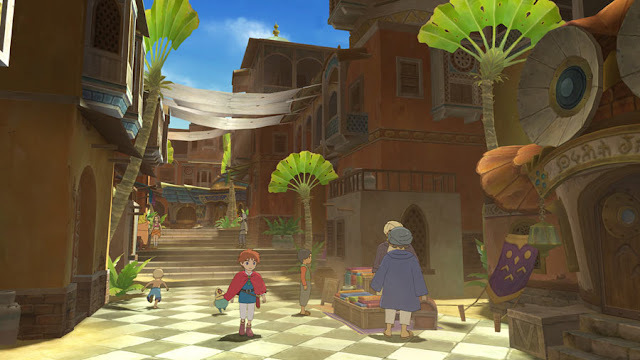 While Ni No Kuni: Wrath Of the White Witch does have several towns, overall it would be great if there were a lot more communities and safe spots in the game. At times Ni No Kuni felt like a merciless and unforgiving game, closer in difficulty to Shin Megami Tensei than the Final Fantasy series. Any Rpg novice would have fumbled at the first difficulty spike and most likely have put the game down for good. A choice to choose an easier difficulty setting would be a welcome edition to the series and welcome players who aren't as rpg navvy. The Wizard's Companion book has some interesting information regarding the world which Oliver escapes to, but it's really hard to see any of it's contents on a television screen. Flipping through it's pages to find the answer to some puzzle or ingredients to throw in the cauldron, is similar to trying to reading a PDF across the living room, no fun at all. 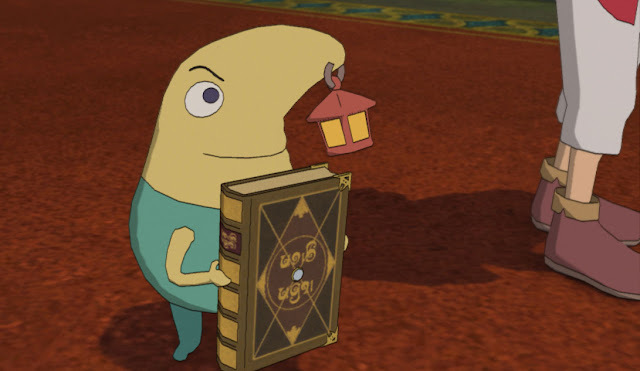 "If Ni No Kuni 2 is going to include a Wizard's Companion then it needs to ditch the complex system"
If Ni No Kuni 2 is going to include a Wizard's Companion then it needs to ditch the complex system and simplify things, making the information easier to read or just shorter to digest. Think of the Final Fantasy VIII study panels for inspiration and we're getting somewhere. In the same aspect as Pokemon, Digimon and Persona, Ni No kuni allows you to collect beasties to fight with, lots of them. Familiars are your main means of defeating your enemies and come with their own move sets and can evolve into stronger creatures. There's hundreds to find and train, but ultimately we'd to see more unique looking Familiars. The take/give heart thing was frustrating. I get the game hand-holding a little bit, it is a JRPG but the fact that the person you need is almost always in the same time made it simply enough, don't tell me exactly what to do every time. I loved the puzzles in the Trials and Vault of Tears, I just wish there were much more. Horace's riddles were my favorite side quests in the game because the vast majority of the rest I felt like a kid coloring in the lines of a coloring book when I really wanted to sketch. It can take hours to catch a particular familiar and the next 2 battles, you have the possibility to catch the whole enemy party and you don't need it... I understand they did not copy the pokemon principle, but having a higher catching rate would have been less frustrating. I also felt that the game was a bit too straightforward in terms of pacing and storytelling. It was too confined. Dragon Quest 8 had a great twist in the middle of the game and I felt this game needed that. I feel like the Brokenhearted system should have felt much more weighty and important than it did. What ends up hurting it is it's repetitive and simplistic nature for me. Instead of hearing someone is brokenhearted and having interest in why the character is that way or what you can do to heal them, it instead boils down every time to just needing another piece of heart that's like a couple feet away. I think it was used much much more sparingly and was more opaque, it would have been amazing! I mean, come on, Level-5 created Inazuma Eleven, and that series has some of the most interesting and likeable characters in RPG history. Why couldn't they do the same for Ni no Kuni? The only thing I really wanted was more dramatic evolutions. Having simply colour swaps is a little underwhelming. Great suggestions and a sequel to either Ni no Kuni or Dark Cloud would be a fantastic title for the PS4. Some really great ideas there! I hope if there's a sequel, a larger pool of spells will be available. Nice stuff man! The AI could have been better. I haven't played it since I got about 15 hours in. Been a couple of weeks since I touched it. Nice. The first game was an absolute classic of its genre and really cemented the PS3 as the "go-to" console for JRPGs last-gen, and between Persona 5, FF7 Remake, FF15, Tales of Zestiria, Star Ocean, and now this, it looks like the PS4 won't be any different. For me worst part of Ni no Kuni was having to revisit all the cities again and again for the heart pieces or whatever they were. And It wasn't all that bad. With the same storytelling, better sidequests, and enhance or different gameplay I'll be super happy. If they say that all of that will be improved, I'll be really super happy. Man I just loved so much Ni no Kuni I can't wait for Ni No Kuni 2 Revenant Kingdom. 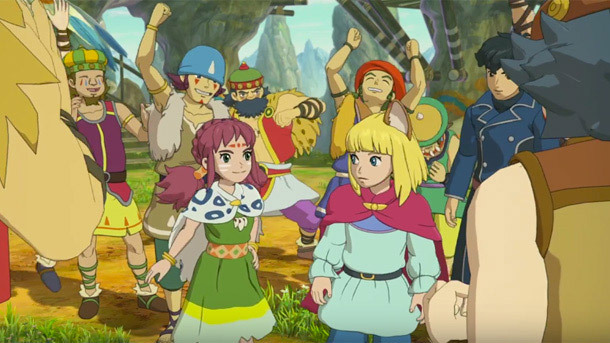 Ni No Kuni 1 was a joy, despite being a bit iffy in places, and this already looks pretty promising. The trailer being dubbed is pretty encouraging already about its development progress, too. So many JRPGs in 2016, where will I find the time? 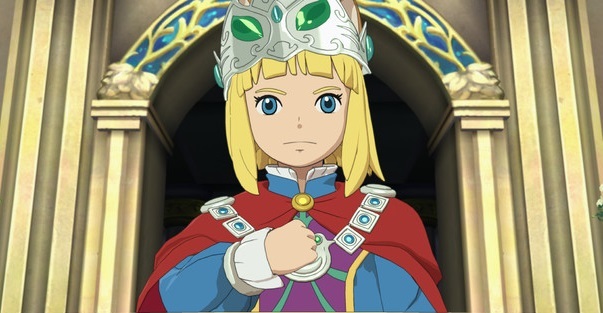 Ni No Kuni 2 looks simply amazing and I wholeheartedly welcome these improvements. The first game was great but many faults kind of held it back from being great, many which are already listed but especially the retarded a.i. Love these suggestions for the sequel, Ni No Kuni is good but the game could of easily been better. I'd love an actual explanation of the elemental rock paper scissors thing they have going on, because I honestly managed to get through the entire game wailing on stuff until it poofed. Also, evolutions that aren't just color swaps or changing clothes. That one black cat pirate that everyone catches because it hits hard and fast just changes it's clothes and depending on which you pick, puts on an eyepatch. I'd like it if some familiars got bigger or changed shape or idk, grew tails or claws.